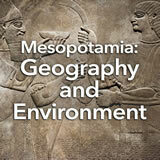 Students learn about the foundational contributions of Mesopotamia and nearby Phoenicia to Western law and language. They read, interpret, and discuss parts of Hammurabi‚Äôs code. Then, they follow developments in writing from pictograms to cuneiform to the alphabet. 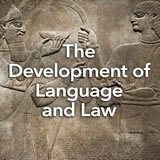 In this experience, students learn about the foundational contributions of Mesopotamia and nearby Phoenicia to Western law and language. They read, interpret, and discuss parts of Hammurabi’s code. Then, they follow developments in writing from pictograms to cuneiform to the alphabet. 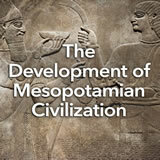 Explain the development of language and writing that emerged from ancient Mesopotamia and Phoenicia. Describe the significance of Hammurabi’s Code. Look at these letters! Yes, right here in this sentence! Isn’t it amazing that these signs can mean anything from a recipe for donuts to the origin of the universe? In this experience, you will learn how the ancient Mesopotamians and their neighbors made important developments in law and writing, including inventing the alphabet. Sumerian Pictographs, c. 3500 B.C.E. Look at the written signs in the image above. Although they don’t look much like letters, the symbols may be among the earliest known examples of writing. They are ancient Sumerian picture writing, or pictographs. Which way of writing do you think you would prefer, pictographs or the alphabet? Why?